Before you take any action to apply for your own bankruptcy, you should seek expert advice about bankruptcy and the other options available to you. The Insolvency Service and the courts cannot advise you on specific insolvency problems; for example, whether you should go bankrupt. Who are the people that deal with your Bankruptcy case? Bankruptcy is just one of several options to be considered when an individual cannot repay their debts. If you are ever faced with the prospect of bankruptcy you should always look at alternatives as soon as possible such as an Individual Voluntary Arrangement or a Debt Management Plan. Bankruptcy can free you from overwhelming debt to give you a fresh start on your finances, however it is a serious commitment and should not be entered into lightly. To ensure that all assets (such as property and investments) are distributed fairly among your creditors. The Courts are officially responsible for making a bankruptcy order against an individual, although this is usually done at the request of either the individual or one of his/her creditors. 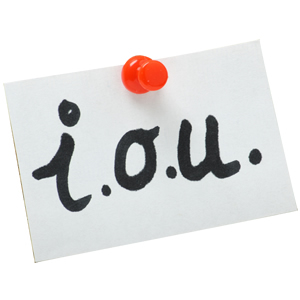 Once a bankruptcy order has been made against you, your creditors can no longer pursue you for payment. Making payment to your creditors becomes the responsibility of the Trustee. What is the cost to go bankrupt? In some circumstances the Court may waive this fee; for example, if you are in receipt of certain benefits. If you are not sure whether you qualify for a reduction in the fee, or if you are exempt from paying the fee, Court staff will be able to advise you. The Official Receivers deposit of £525 towards the costs of administering your bankruptcy. This deposit is payable in all cases and helps meet the official receivers costs. The fee to swear the statement of affairs. In a County Court, no charge is made to swear the affidavit, which is part of your statement of affairs. But in the High Court or before a solicitor there is a £7 charge. If you are a married couple and you are both applying for bankruptcy, you will each have to pay separate fees. If you were in business as a partnership, each partner will have to pay separate fees, unless all parties apply for a joint bankruptcy petition under the Insolvency Partnerships Order 1994 (Form 16). What are the implications of bankrupcty? Lose control of your assets both during the term of bankruptcy. Your credit rating is affected for many years after the annulment. You may be able to open a new bank or building society account but will have to disclose the fact that you are bankrupt. The bank or building society may then impose conditions and limitations. Overdraft facilities or chequebooks must not be obtained, as they are likely to be dishonoured. You must inform the Trustee of any funds available in the account, which exceed the normal living expenses, in order for the Trustee to distribute among the creditors. Your employment could be affected (E.g. If you are a lawyer, charted Accountant, financial Advisor). Certain debts such as student loans are not covered by a Bankruptcy Order therefore you will still be responsible for paying these debts. Obtain credit of £500 or more alone or jointly with another person without disclosing his or her bankruptcy. Conduct business directly or indirectly in any name other than that which he or she was made bankrupt. Be involved directly or indirectly in promoting, forming or managing a company without the Court’s permission. Hold certain public offices (E.g. Justice of the peace, member of parliament). When you are discharged from being bankrupt these constraints are ended. Where is a bankruptcy order made? Bankruptcy petitions are usually presented either at the High Court in London or a County Court near to where you live or trade. A petition can be presented against you even if you are not present in England or Wales at the time, providing you normally live in, or have a recent residential or business connection with, England or Wales. The address and telephone number of your local County Court is listed under ‘Courts’ in the phone book, where you should look for ‘Civil Courts – County Courts’ and not ‘magistrates’ Courts’. The Courts Service website at: https://www.gov.uk/government/organisations/hm-courts-and-tribunals-service has an index of County Courts that will show you the area where the County Court has jurisdiction. However, you will need to contact the Court to find out if it has jurisdiction to hear a bankruptcy case. The Court will either hear your petition straight away or arrange a time for the Court to consider it. If English in not your first language and you need an interpreter, the Court will not be able to help you find one. You will have to do this yourself and pay interpreter’s fees. Stay (delay) the proceedings – often because the Court needs further information before it can decide whether to make a bankruptcy order. Dismiss the petition – perhaps because an administration order would be more appropriate. Appoint an Insolvency Practitioner – if the Court thinks that an Individual Voluntary Arrangement would be more appropriate. This will only be possible if your assets are more than £4000; your unsecured debts are less than £40,000; and you have not been bankrupt or made an Individual Voluntary Arrangement in the previous five years. If you do not wish to enter into such an arrangement, you should inform the Court. Make a bankruptcy order. You will be bankrupt the moment the order is made by the Court. The Official Receiver is a civil servant and an officer of the Court. He is responsible for administering bankruptcies and will act as a Trustee of your estate unless a private sector Insolvency Practitioner is appointed. One of the Official Receiver’s main duties is to investigate your financial affairs for the time before and during your bankruptcy. An Insolvency Practitioner can be appointed Trustee instead of the Official Receiver, they must be licensed and are usually accountants or solicitors. The Insolvency Practitioner is then responsible for the disposing of your assets and making payments to your creditors. When a bankruptcy order has been made, you must provide the Official Receiver with information relating to your financial affairs such as, a list of your assets (property, pensions, insurance policies etc), amounts of each debt and to which creditor they are owed to, within 21 days. Any assets are then to be handed over to the Official Receiver along with any bank statements and insurance policies relating to your property and financial affairs. Any assets and income increases obtained during the bankruptcy should be declared to the Trustee. You must not obtain credit of £500 or more from any person without first disclosing the fact that you are bankrupt. Any bank or building society accounts must no longer be used. You must not make any direct payments to your creditors. You may also have to attend Court to explain why you are in debt. If you do not co-operate, you could be arrested.